The US$1.45 billion Nam Theun 2 Hydropower Project, in the small Southeast Asia country of Lao PDR, is involves a 39-meter high dam on the Theun River, a major Mekong tributary, and a 450-square kilometer reservoir on the Nakai Plateau. Water is diverted to a powerhouse before being released into another Mekong tributary, the Xe Bang Fai River. Nam Theun 2 has forcibly displaced 6,200 indigenous people living on the Nakai Plateau and affects more than 110,000 people whohave historically depended on the Xe Bang Fai River for fisheries, agriculture, transportation and water supplies. Thousands of other Lao villagers have lost land and resources for the construction of Nam Theun 2's downstream channel and transmission lines. This project is built with the stated intention of generating revenue for the Lao government by exporting over 90% of the electricity generated to neighboring Thailand. However, as a result of the complete lack of transparency of how revenues are being used by the authorities, there is no possible way to gauge how much money is being invested back into affected communities. In March and April 2005, the World Bank and Asian Development Bank approved loans and guarantees for Nam Theun 2. With the World Bank and the ADB's endorsement, other lenders committed to financial resources. Construction began in 2004 and was completed in 2010. In May 2006, approximately 6,200 indigenous people living on the Nakai Plateau were resettled to make way for the reservoir. Since operations began in 2010, tens of thousands of people living downstream on the Xe Bang Fai have experienced a decimation of the fisheries stocks, the flooding of their riverbank gardens, and illnesses due to water quality deterioration. The social and environmental programs developed for downstream villages by the power company were handed over to the Lao Government to finance and implement by the beginning of 2013. By 2015, responsibility for the programs for villagers resettled on the Nakai Plateau will also be handed over to national authorities. Currently, some villages downstream are facing critical water supply problems because some wells installed initially by NTPC are no longer functioning, and villagers are often without the technical know-how for maintenance. They also face food shortages due to the fact that they are planting less in order to cope with the risks involved in the fluctuating river levels. Villagers living on the Nakai Plateau have found themselves without sustainable livelihoods as the 0.66 hectares allotted to each family has been on land unsuitable for traditional rice and vegetable farming. As a result, many families report that young people are migrating out to seek employment. International Rivers has been monitoring the implementation of Nam Theun Hinboun Corporations' (NTPC) social programs for resettled villagers on the Nakai Plateau and the situation of people living downstream, along the Xe Bang Fai River. As of 2013, NTPC's social and environmental programs along the Xe Bang Fai have been transitioned over to the Lao Government, supported by ADB and World Bank programs and financing. These villagers continue to face food security problems due the fact the low fish catches, and decline in ability to plant reliable crops of rice and vegetables near the shores of the river. Many cannot afford to pay for electricity, despite the irony of having to live with the daily impacts of a hydroelectric dam upstream. The Nakai Program is currently undergoing a hand-over phase as well. During this time of transition, International Rivers continues to monitor the situation of affected villages and call on financiers to ensure full reparations and livelihood restoration of all affected populations. Now that the Nam Theun 2 Hydropower Project is in operation, a wide range of negative social, environmental and economic consequences are apparent. 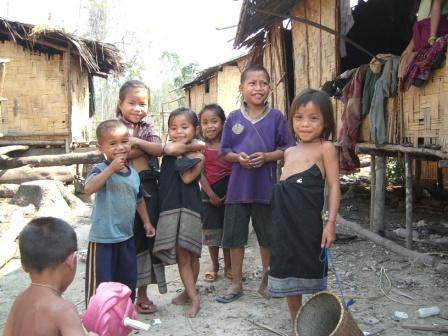 The project has directly affected approximately 1 in 50 Laotians. 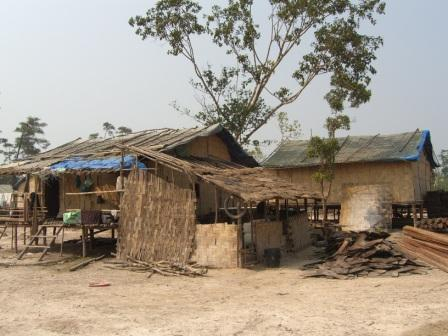 Despite being propped up with financing from the Asian Development Bank and World Bank, programs to restore villagers' livelihoods have ultimately failed to come up with options to sustain people's social and economic well being on both the Nakai Plateau and along the Xe Bang Fai River. The approximately 6,200 resettled indigenous people now living on the Nakai Plateau have new houses, roads, and electricity. But they continue to raise major concerns about how they will be able to feed their families over the long term and earn sufficient incomes to pay for electricity and basic daily goods. Villagers have received small plots of poor quality land on which traditional farming methods for rice and vegetables consistently fail. Given the lack of market for any produce, and a lack of ability to grow enough food on which to live, they have come to rely on expensive outside goods being trucked up to the plateau. 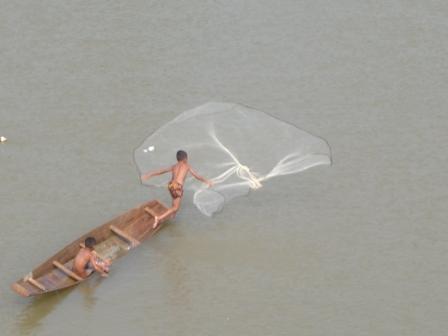 People have also been confronted with lower fish catches on the reservoir than originally promoted by NTPC. With few livelihood opportunities available, many young people are migrating out. The illegal trade in rare rosewood timber is also providing some families with an immediate cash windfall that is neither sustainable over the long haul nor a solution to the question of how to ensure the well-being of future generations of local people. Along the Xe Bang Fai, villagers are now faced with more frequent flooding, a complete loss of the fisheries they once relied upon, and flooded riverbank gardens. Solid plans to replace these critical sources of food and income have failed to materialize, and the short-term programs set up by NTPC, the World Bank and Asian Development Bank have yet to successfully restore all affected villagers' livelihoods. 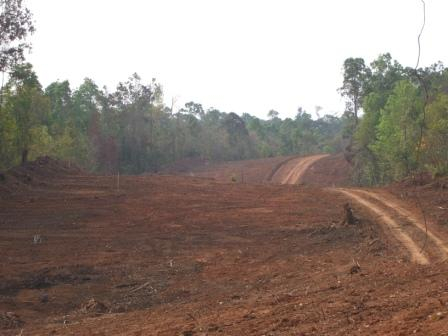 Nam Theun 2 has already had significant negative impacts on the biodiversity of the area. The project is located in and adjacent to one of the largest remaining tropical forests in mainland Southeast Asia. The reservoir fullly inundated the habitat of 60 species of birds and mammals and disrupted migration routes. 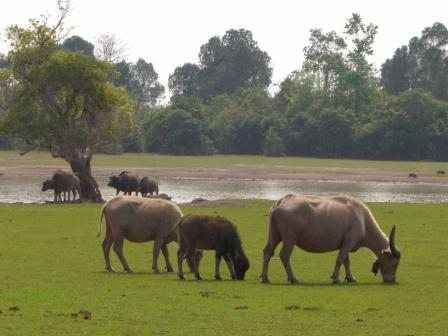 Before the dam was built, the area was home to a large variety of rare and endangered plant and animal species, including one of the last remaining populations of wild elephants in Laos. 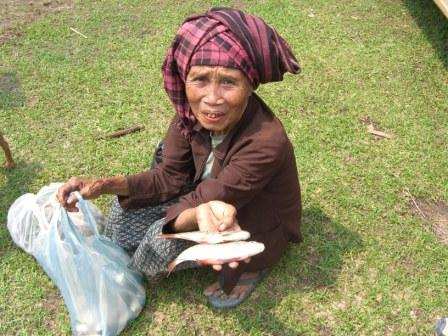 The project will has had adverse impacts on fisheries on the Theun River and the Xe Bang Fai. A key selling point of the Nam Theun 2 project was that it would provide funds for the protection of the globally significant Nakai-Nam Theun National Protected Area, yet the reservoir has opened up access to the area, threatening its ecological biodiversity. As of mid-2013, the international Panel of Social and Environmental Experts that has been conducting monitoring missions since the beginning of project operations, observed that poaching of animals and illegal logging of rosewood trees continues at an alarming pace. The programs and staff that are supposed to protect the area are grossly underresourced. As a result, the forest area surrounding the dam is being decimated with little hope of preservation of this rich diversity of life for future generations. The World Commission on Dams found that women and ethnic minorities were disproportionately affected by dam projects. As women are often responsible for ensuring the sustainable livelihoods of their families, impacts on these livelihoods through destruction of fisheries, flooding of agricultural land and forests, and displacement often result in women bearing a disproportionate share of the costs. It is women who are often left with the burden of caring for their families, finding alternative land and water sources and alternative livelihoods when these are taken away through the development of destructive dam projects. Nam Theun 2’s “development” justification hinges on the Lao government using revenues from the project to help the project affected people and ensuring that their livelihoods are improved or restored. This claim was the basis for World Bank and ADB support for Nam Theun 2. As evidenced by some of the problems to date, including the failure to provide replacement land to villagers affected by NT2's construction, the World Bank and the ADB have no real enforcement powers to ensure that Lao the government and NTPC keep their promises. According to World Bank governance indicators, Laos rates far below most low-income countries on civil and political rights and control of corruption. The World Bank’s revenue management proposal for Nam Theun 2 provides no assurances that these constraints will be overcome. Revenue allocation, monitoring and reporting is left to the finance ministry officials in the Lao Government. The revenue management arrangements specifically reject the use of an independent oversight body or external independent auditing of Nam Theun 2 revenues. By the end of 2012, the social and environmental programs implemented by Nam Theun 2 Power Company downstream, along the Xe Bang Fai River were handed over to be managed by local government ministries. The World Bank and Asian Development Bank are providing substantial financial support to boost support for affected villagers' small scale agriculture production, small livestock raising and artificial fish ponds. However, access to clean water supplies and food security and economic self-sufficiency remains in question for tens of thousands of affected villagers who are forced to cope with the changes brought by the damming of the river upstream. In mid March 2010, the Nam Theun Power Company started full operation of the dam without fulfilling all requirements of the Concession Agreement. NTPC is thereby violating legal obigations to provide compensation and livelihood restoration to affected communities. Read more. In April 2008, the diversion tunnel was closed in preparation for dam gate closure and reservoir impoundment in mid-June 2008. The project will start power production at the end of 2009. 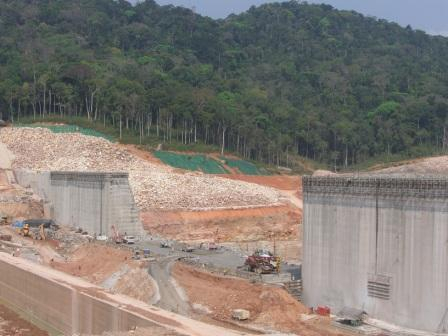 In May 2005 a US$ 1 billion project financing package for the Nam Theun 2 dam was signed. See above for the participating banks (source: News Release NTPC, March 2004). Equator Principles; Principles, Profits or just PR? 2010-08-01 00:00:00 | International Rivers et. al. This report of International Rivers chronicles the social and environmental debt created by the dam-building boom in Laos. The Save the Mekong coalition is a network formed of local and international groups and ordinary people who all share a concern about the future of the Mekong River.